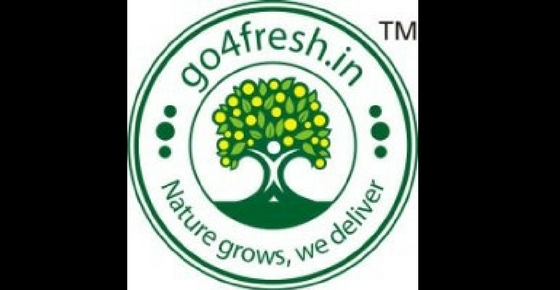 An online organic food delivery site named go4fresh.in is a social enterprise integrating sellers with buyers of fresh fruits and vegetables. It aggregates demand and delivers the wide range of regular, exotic and organic products directly from farms to stores of B2B customers. To know more about the company and their customer details like customer care number and customer Email ID, office address, phone number, continue reading the article and you will get answers to all your questions. They deliver products like Fresh Vegetables, Fresh Fruits, Organic Fresh produce, Organic fruits, vegetables and exotics and Local Produce. They have the partnership with farmers who are willing to produce organic products for the customers who are willing to buy these products. Nowadays, people want to eat healthy food which helps them in living a healthy lifestyle, so the company go4fresh.in helps customers like them get healthy food at their doorstep. Their mission is to make available rightly sourced and safe food by adopting sustainable practices and offer convenience through the effective use of technology. True to their tagline – Nature grows, we deliver – they encourage producers to grow healthy food and align their partners at every step in the process accordingly. You can also connect to them for collaboration with them, as a food producer you can tie-up with them to sell your products, as a service provider, you can associate with them to extend their services. The company is providing customers with organic products which are important for their healthy lifestyle, there are many questions which arose in our minds related to their products, so to clear the doubts and for any assistance, contact them through their customer care number. Feel free to use this mentioned number from Monday, Wednesday, Thursday, Friday and Sunday from 8 am – 5 pm, and on Tuesday and Saturday from 8 am to 10 pm, ask them for their help if you want some, or can suggest them some measures to improve themselves if they need to. And if you want to write them on their Email Id, feel free to write them and ask for any queries or any other information you want. Go4Fresh.in Office Address: A/2 Shree Bajarang Cold Storage compound, Opposite Wibs Bread Factory, Sector 18, Turbhe, Navi Mumbai (New Mumbai), India. Browse through the company and order some organic products from their sites like vegetables, fruits and much more and it will be delivered to your doorstep. Go4Fresh.in is also available on different social media platforms, so customers can follow, like or subscribe these pages in a way to get the latest updates about the company and the products.